HORSE PLAY AT THE RED BARN! HORSES! CRAFTS! PLAYING! GETTING DIRTY! We are going to have TWO field trips this month to The Red Barn in Leeds, Al. The second will be November 17th for those that have been before, we will be doing new, more in depth things. Children will be grooming, learning to lead a horse, roping and games in the field and Armor of God lesson (with a horse). LIMITED TO 10 CHILDREN FOR EACH FIELD TRIP. SO CONTACT ME AS SOON AS POSSIBLE! 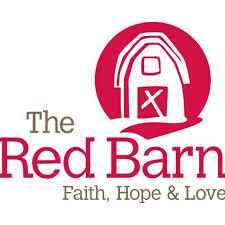 ***The Red Barn is a not for profit organization. The 'price' for this event is a donation of some sort. That could be money, a case of water, homemade cookies for the volunteers, toilet paper, etc. The list goes on and on. I think you get the idea. Please bring a nice donation PER FAMILY as your payment for this great experience for you and your kids. Please go to http://www.theredbarn.org/how-to-help.html for donation suggestions. The deadline FOR BOTH DAYS is THIS FRIDAY, NOVEMBER 6TH, so please call or email Nicole Junkin ASAP! You can contact her at victoriousgrace1118@gmail.com or 205-902-0488. TIME: 10 am -12 pm Please be there around 9:45 so we can get the donations and paperwork all straight and start promptly at 10. There are picnic tables by the pond where we can have lunch, if weather permits.